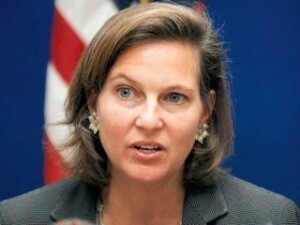 Quote: “After three visits to Ukraine in five weeks, Victoria Nuland explains that in the past two decades, the United States has spent five Billion dollars ($5,000,000,000) to subvert Ukraine, and assures her listeners that there are prominent businessmen and government officials who support the US project to tear Ukraine away from its historic relationship with Russia and into the US sphere of interest (via “Europe”). Tards on the OG were accusing me of "conspiracy theorizing" again. I am proven right again. Dupes will be dupes. so tired of haters who don't know JACK. OG is a cesspool of filth and debauchery. Did people really think ordinary Ukrainians would rise up over a failed EU deal? Would Americans protest like this over TPP? No. the naive, gullible ukrainians were BEING PAID to protest, through scholarships, salary through NGOs/Foundations or other indirect forms of payment etc. Quote: Occurring during the Winter Olympics in Sochi, Russia, the coup in Ukraine dealt an embarrassing black eye to Russian President Vladimir Putin, who had offended neocon sensibilities by quietly cooperating with Obama to reduce tensions over Iran and Syria, where the neocons favored military options. pathetic US mainstream media.. basically a neo-con mouthpiece. ^click that link. one of the best analyses I've read so far. written by a former AP reporter. At the end of the day, how will Ukrainian Euromaidan protestors be happy? Their guys were killed in a 4 to 1 ration (65 dead vs 15). Will their new president take a disadvantageous EU deal? Maybe. Ukraine's credit rating is now CCC. Is the IMF going to give them Fanny Mae free bailouts? They don't like Yuschenko, Timoshenko, or Yanukovych, understandably. How is a new president going to make all the opposite forces happy and fix their economic problems? By opposite forces, I mean the oligarchs, IMF, and the impoverished people. Yuschenko, the winner of the 2004 orange revolution had something like a 2% approval rating when he left- and I am not saying it is all his fault, either. If they take the debt agreements they will be like Greece. it's a big game of chess. (02-25-2014 10:41 AM)EVILYOSHIDA Wrote: oh my my my. This is the 2nd subversive overthrow in Ukraine. Dupes on the OG are somehow convinced that they are privy to every relevant piece of information the world has to offer. If somebody asserts an idea they are unfamiliar with, it must obviously be false because if it were true, they would know about it. Their level of dupery knows no bounds. 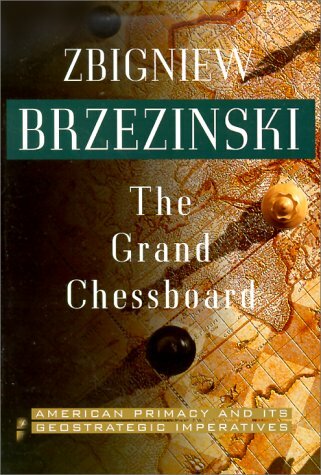 (02-25-2014 02:13 PM)DonJohnson Wrote: it's a big game of chess. It's hilarious that those people consider this trolling. It is world politics, it is called realpolitik. Serious question is the OG dumber than your average American? Currently. ^ yeah. that place is on its last legs. You tell something real and they accuse you of "ruining a thread"
Online Games? Where is it? ^ the underground forum. I believe you PMed there first before you found out about this place.